Welcome to the Missouri State University Assessment and Accreditation website for the Educator Preparation Program (EPP), formerly the Professional Education Unit. Missouri State University has been accredited with the CAEP, Council for the Accreditation of Educator Preparation, (formerly NCATE) since 1965, and we have created this site to assist CAEP and the Missouri Department of Elementary and Secondary Education (DESE) in their 2011 review process. The faculty committee appointed by Provost Einhellig has reviewed the Onsite BOE Team Report and has prepared a Missouri State University Rejoinder to the BOE Report. 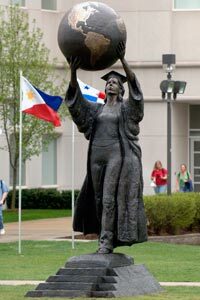 Missouri State University has received a letter of approval for seventy-five professional education programs from the Missouri Department of Elementary & Secondary Education (DESE).